October was quite a busy month for BCVA! 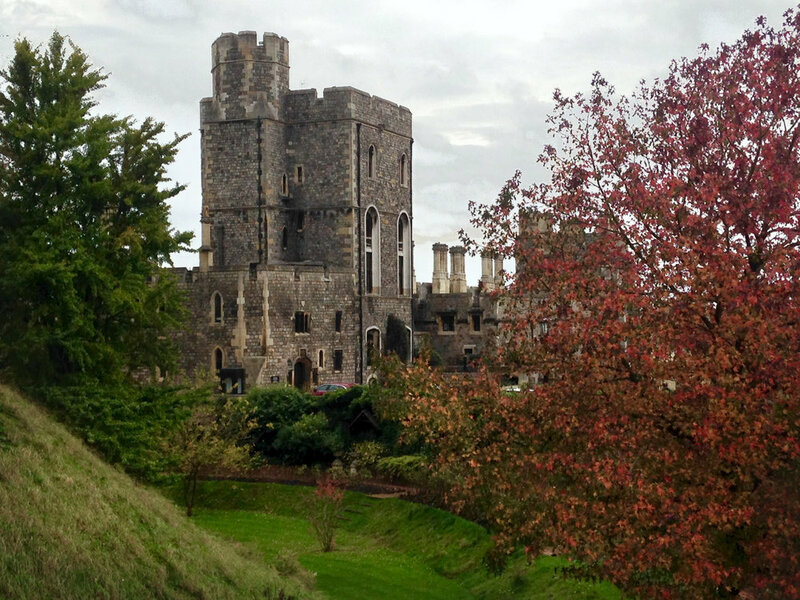 Anand Chhabra Chair of BCVA was invited to the Royal Collections Trust at Windsor Castle in October by the Photo Collections Network. It was an amazing treasure trove of photographs held by the Trust as anyone can imagine. There were not only photographs from the royal family of 100+years ago but also collections from the founders of photography as well as world famous photographers like Annie Leibovitz, Cecil Beaton and Mario Testino to name a few! This is where the real crown jewels are kept! Hope to see our collection there one day you never know. Unfortunately but understandably the only image we were allowed to take was this one taken from my phone! It was great evening at PhotoCafe in Birmingham on 27th September. It was a very interactive presentation with many good questions being asked about the archive and also with 2 new volunteers being signed up! We are grateful for PhotoCafe and Nicola Shipley from GRAIN for the invitation and 1000 Trades pub for hosting this event. For more information at where we will be speaking please do follow our @apna_heritage handle via twitter. 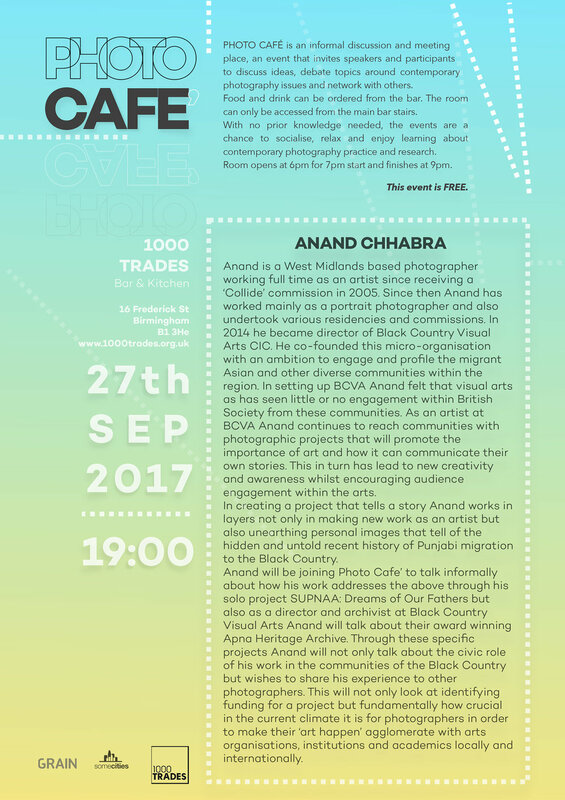 Anand Chhabra presents the Apna Heritage Archive collection at PhotoCafe, Birmingham September 2017. We were delighted to host the St Chad's Asian Women's group at the Apna Heritage Archive. We taxied them in from their community centre and response was good with a small number from around 20 ladies bringing images with them. We were delighted as they brought fantastic images from 1960s-80s perfect for the archive! There was a lot of positive comments as now that most had seen the archive for themselves were better to understand what we at Black Country Visual Arts CIC wanted to achieve for our archive funded by Heritage Lottery Fund. Further to this we had received an invite to go back to the group and talk with the ladies individually to gather even more photos! Special thanks to Mrs Suraksha Asar and Mrs Kanchan Jain leaders of the group for helping arrange the visit to our archive space. St Chad's Asian Ladies group learn to browse the archive physically and online. The All Saints ladies group 'Mel Jool' visit the archive space. We recently had a visit from the Mel Jool group from All Saints community centre. A majority of the group were away on their annual trips to India but we still had a strong interest and participation in our project. Mrs Bhatia had a carefully looked after archive of hundreds of images covering 3 decades from the Bilston area of Wolverhampton. She was keen to participate before also travelling to India! We also met Mrs Dhanjal a clay relief artist originally from India and now settled in Wolverhampton. Mrs Dhanjal has exhibited both here and abroad and is trully a very unique and talanted artirst. Photograph of a clay relief by Mrs Ranjit Dhanjal taken on an archive home visit. Supriya and Mrs Dhanjal delve through the archived images online. A photographic scoop for the Apna Heritage Archive! We are proud to have a good number of images given to us by the generosity of Mr. Salgaram Dass for the Apna Heritage Archive. I met Mr Dass as he usually parks his car right outside my house to drop off of his children to a school here in Wolverhampton . As I get to know this very articulate and intelligent man he is instantly smitten with our work. 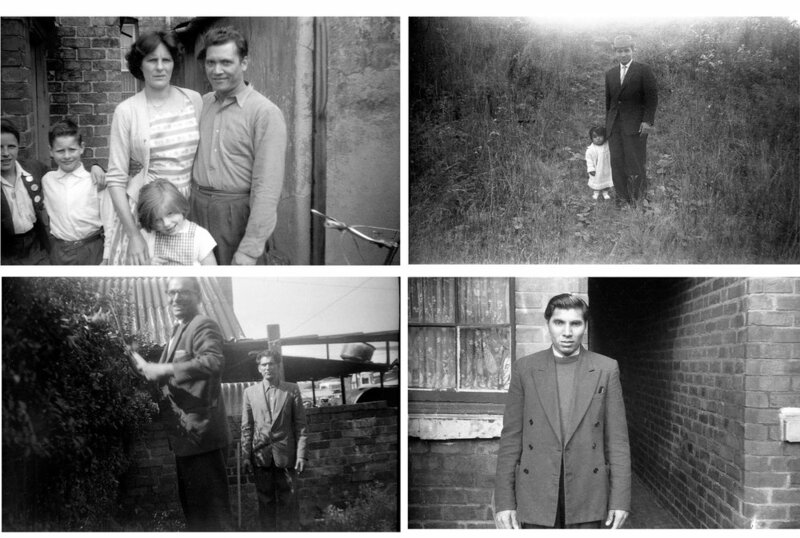 Salgaram bought me negatives and then also learned skills and our protocols in scanning these amazing photos that depict the early years of life, living in Inkerman Street, Heath Town, Wolverhampton c 1960s. The vast majority of images here are taken by his father an ardent photographer. I restored and edited a few of these here and personally I find them nostalgic of a bygone age of innocence in the Black Country. Even more than that they are photographers dream and an amazing scoop for our archive in terms of telling the story of individuals and integration to life in Wolverhampton. There's more to come from this set of images we now have in our possession! Various Images around Inkerman st, Wolverhampton c1964. Photos of neighbours and friends around Inkerman St, Wolverhampton c1961. Visitors registering for the event at University of Wolverhampton. 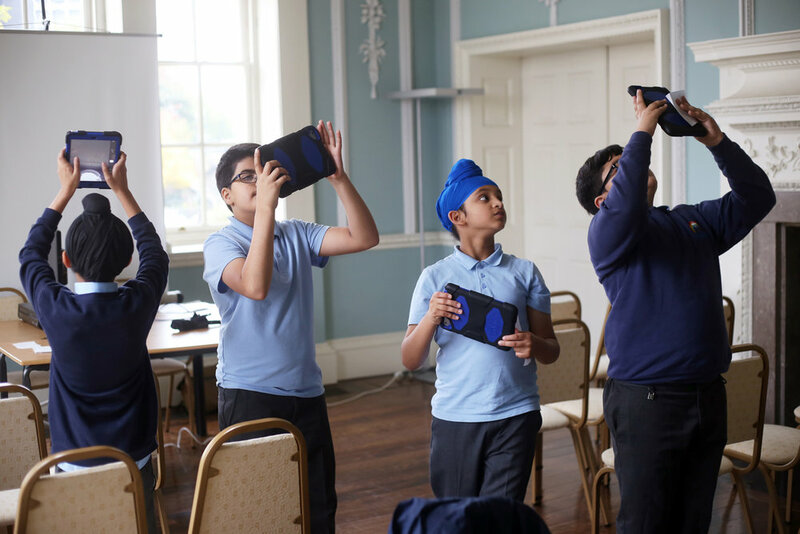 We were honored to be invited to the the Sikh Survey launch at the University of Wolverhampton by Dr Opinderjit Takhar, head of Religious Studies at the University. It was a great opportunity to meet up with possible participants for the Apna Heritage Project. We had a very positive response from the visitors who very excited by the archive and how important it was for the town and region as a whole. Sarvjit from BCVA taking about the archive and how to participate. Year 5 pupils looking at their own archive portraits! 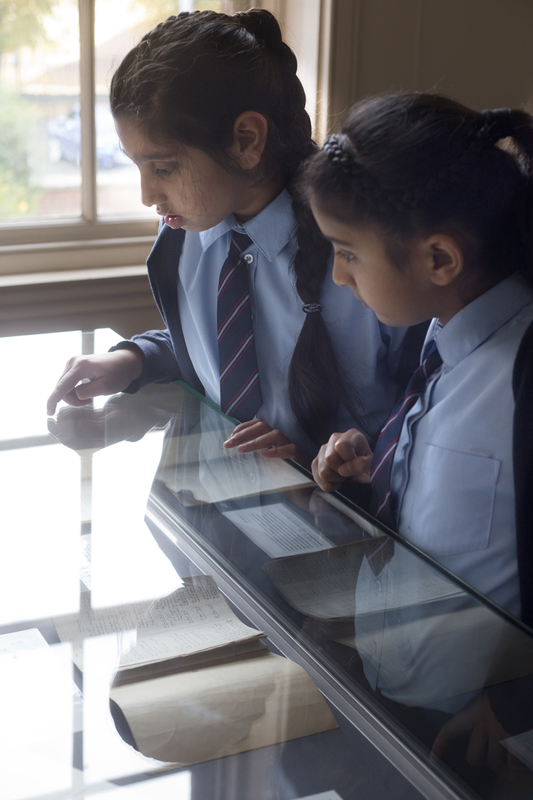 Pupils at St Luke's talk about their own personal archive. Year five pupils at St Luke's got to talk about their own personal archive bio and share their archive photograph with the school. There was a great deal of excitement as the pupils looked for their portraits as you can see in the image above. After reading out their own hand written information sheet they got to file away the information along with their photograph into the new St Luke's archive box. 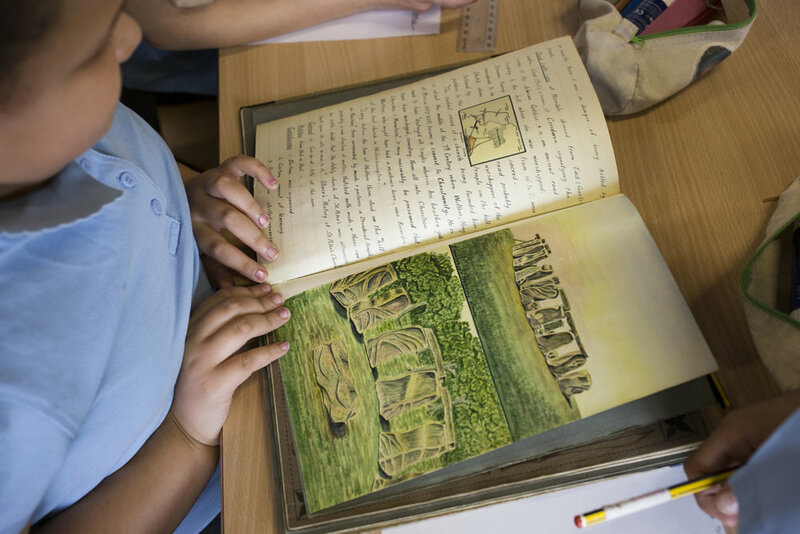 The children were really positive about the archive sessions and have enjoyed learning about our project and the importance of archive and heritage. The children got to share their archive bio and photograph with classmates. St Luke's archive project continues with new portraits. One again it was great to visit St Luke's for another workshop. The children put into practice what they have learnt so far about recording their own archive stories. BCVA took portraits of the year five pupils in national dress or home clothes whilst the children recorded information to go with the photographs. We look forward to going back next week to complete the archive with year five. A big thank you for St Luke's for make a great effort! Visitors at the Apna Heritage Archive stand. 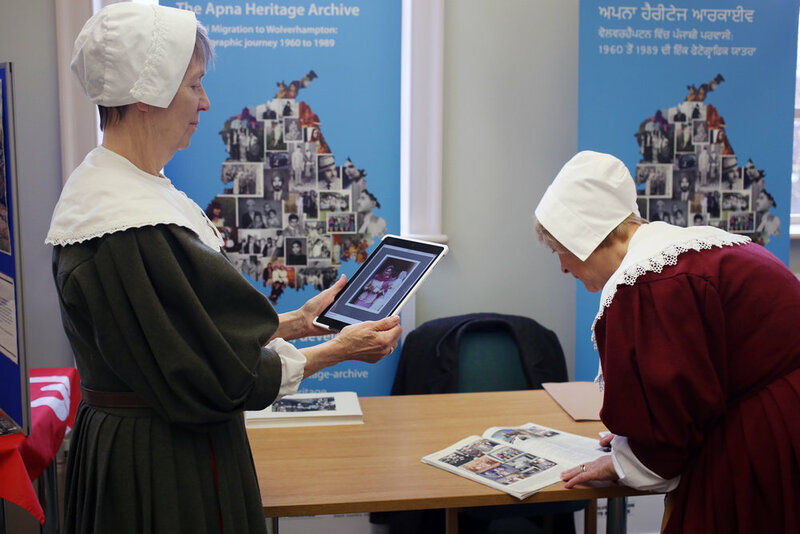 BCVA were invited by Wolverhampton City Archives to attend this years Local History Fair to share their ground breaking HLF funded Apna Heritage Archive project. The project is documenting Punjabi migration to Wolverhampton form 1960 to 1989 through the collection of photographs and ephemera. We had a great turnout and it was great to see such positive response from all members of the community for our project.